Zenith Enclosures are designed with advanced details, pleasantly soft lines and are made with rounded edges. 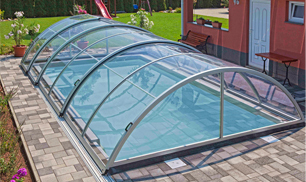 Zenith, our most competitive design, offers two heights of enclosure, Zenith Standard the other Zenith Flat. 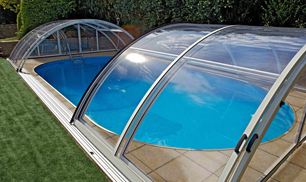 Both types are available in either double glazed polycarbonate or solid transparent SAN/ styrol-acrylic-nitrile/ glazing. 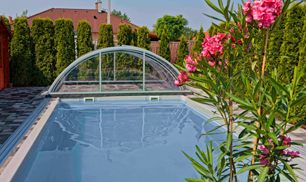 All glazing has UV protection on both surfaces. Key safety locks lock all the mobile sections into one structural element. Therefore a child without the proper key will be unable to open the enclosure.